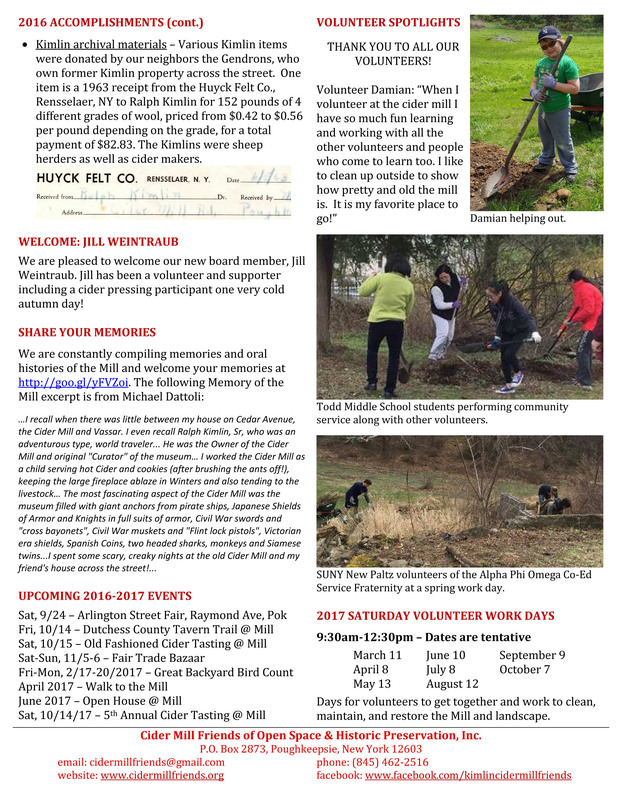 Click here to read our Fall 2017 newsletter! This entry was posted in Newsletters on September 7, 2017 by cidermillfriends. Click here to read our Fall 2016 newsletter! This entry was posted in Newsletters on September 15, 2016 by cidermillfriends. 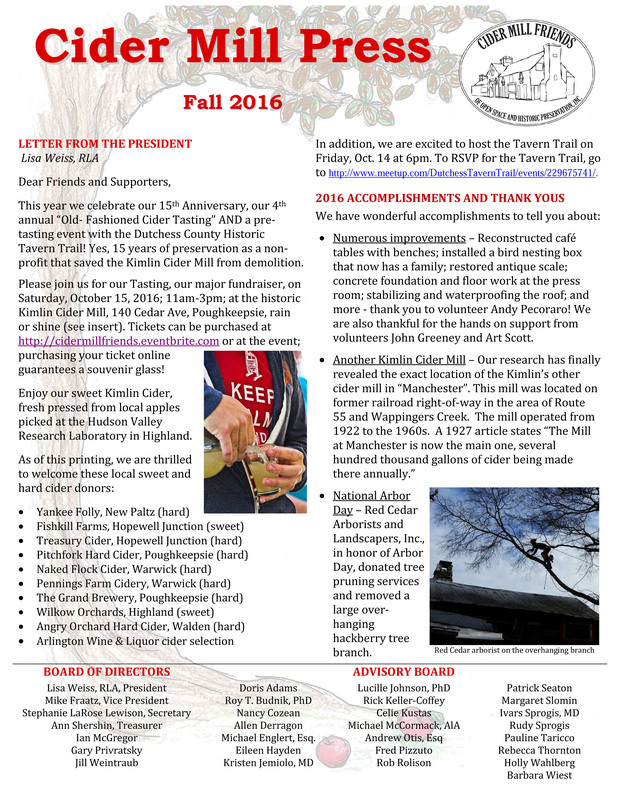 Click here to read our Fall 2015 newsletter. This entry was posted in Newsletters on September 9, 2015 by cidermillfriends. This entry was posted in Newsletters on September 17, 2014 by cidermillfriends. 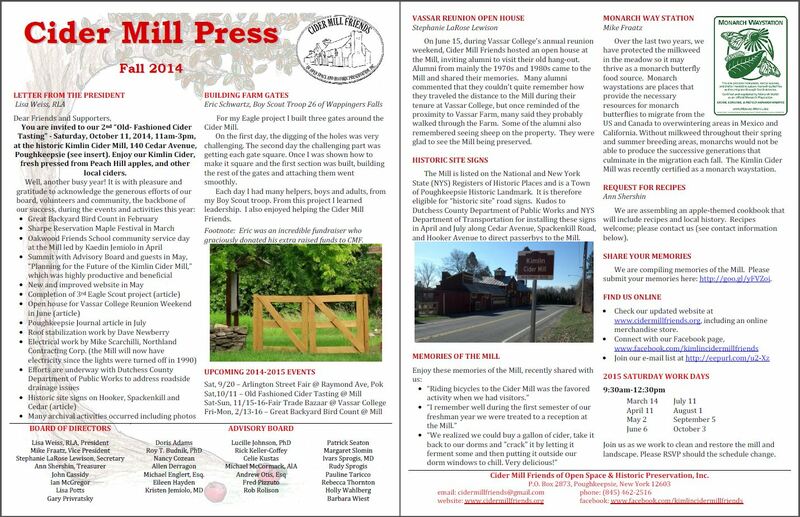 Click here to read our Fall 2013 newsletter. 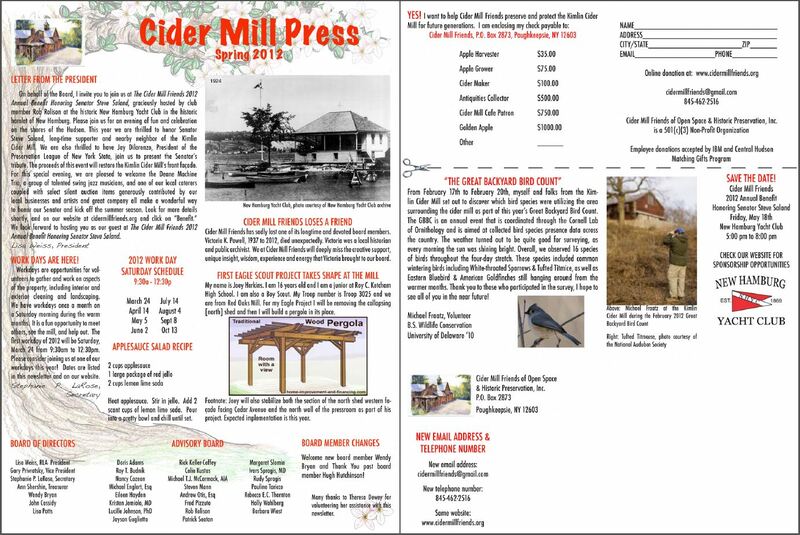 This entry was posted in Newsletters on October 16, 2013 by cidermillfriends. Click here to read our Fall/Winter 2012 newsletter. 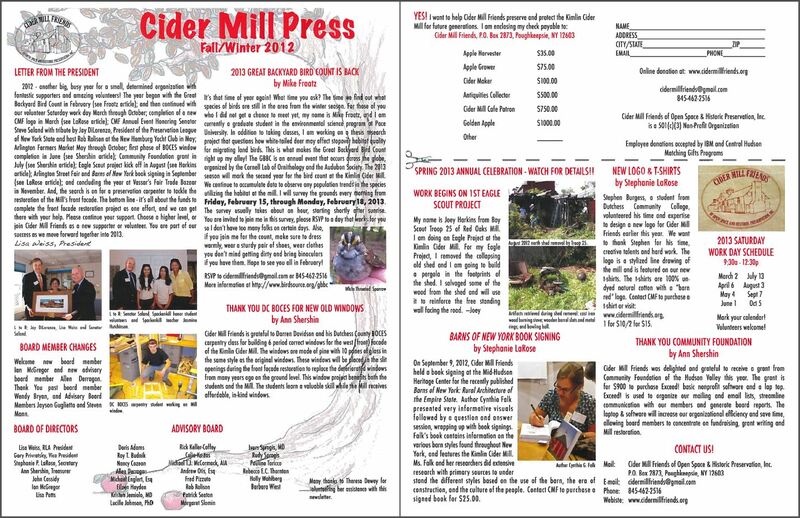 This entry was posted in Newsletters on November 1, 2012 by cidermillfriends. 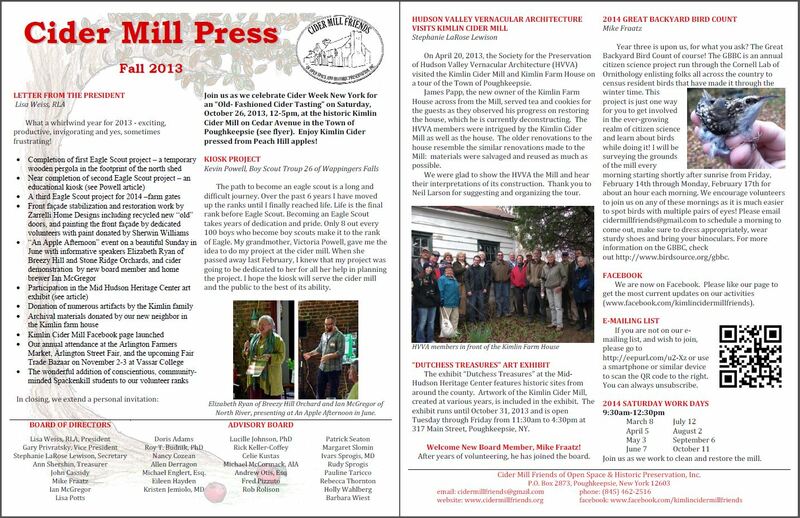 Click here to read our Spring 2012 newsletter. This entry was posted in Newsletters on March 28, 2012 by cidermillfriends.